So you’ve always wanted to write a book, but don’t know where to start? 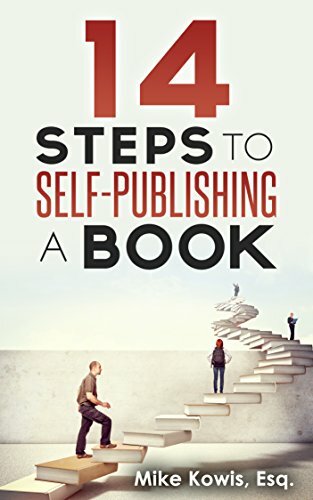 Successfully published author Mike Kowis shares his formula in exhaustive detail — including a comprehensive breakdown of steps from first idea to first book sale. There’s even a handy checklist at the back of this book to make sure you’ve got all your bases covered. Kowis’ writing style is informal and frank as he goes well beyond the theory and generalizations prevalent in so many other guides to self-publishing. He lays out exactly what he spent — and to whom — on his journey from mild-mannered tax lawyer (by day) to college professor and published author (generally by nights and weekends). He is the first to admit that self-publishing can come with a hefty price tag. His first book, an award-winner entitled Engaging College Students: A Fun and Edgy Guide for Professors, ran well into the thousands of dollars to write, edit, produce and market. But, by using his own 14-step roadmap, his current title has cost only about twenty percent of the first book. You can be the beneficiary of this wealth of authorial information just by downloading it today for less than the price of a McDonalds Happy Meal. It’s also available in paperback. A series of vital Pro Tips, such as: “Beware of vanity presses and scam artists that promise to publish your book at egregious prices and under predatory terms.” Indeed, there are many charlatans out there only too willing to part you from your publishing dollar. Don’t let them. Decide where you want to sell your book and in what formats. Doing a bit of due diligence, researching your intended market — along with your competitors — will pay real dividends down the road. Kowis imparts his Top 10 pearls of wisdom on the process of self-publishing. Some of them may surprise you, but they all are eminently instructive. And, finally, the Amazon edition comes with many invaluable live hyperlinks to resources like the U.S. Copyright office, a YouTube video that explains how to buy a domain name and build a website for your book, and others. In short, before you ever seriously consider sitting down to write a book — whether it be a nonfiction manual like this or the infamous Great American Novel — you need to read this conversational, yet fact-filled primer on self-publishing.